A few weeks ago I made the interesting discovery that the famous Estonian writer Friedrich Kreutzwald is in my family tree. He is not a blood relative but his cousin married into my family, hence making us related by marriage. He is a key figure in Estonian literature, as Shakespeare and Chaucer are in English, and I am thrilled to have this association with him. If you are Estonian, you will know exactly who Friedrich Kreutzwald is. If you're not then here's a summary. 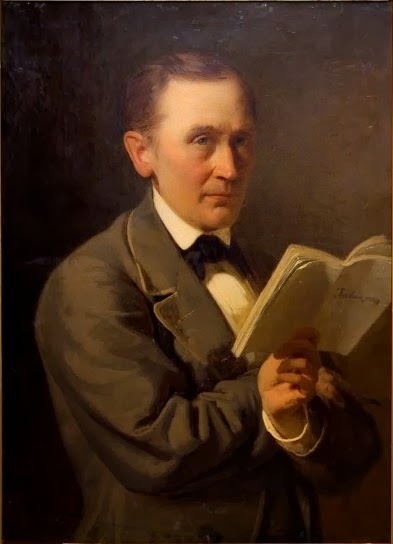 Friedrich Kreutzwald is the author of the first original work written in the Estonian language. He is considered the father of Estonian literature and was one of the leaders of Estonia's national awakening as well as a driving force in Estonian intellectual life. 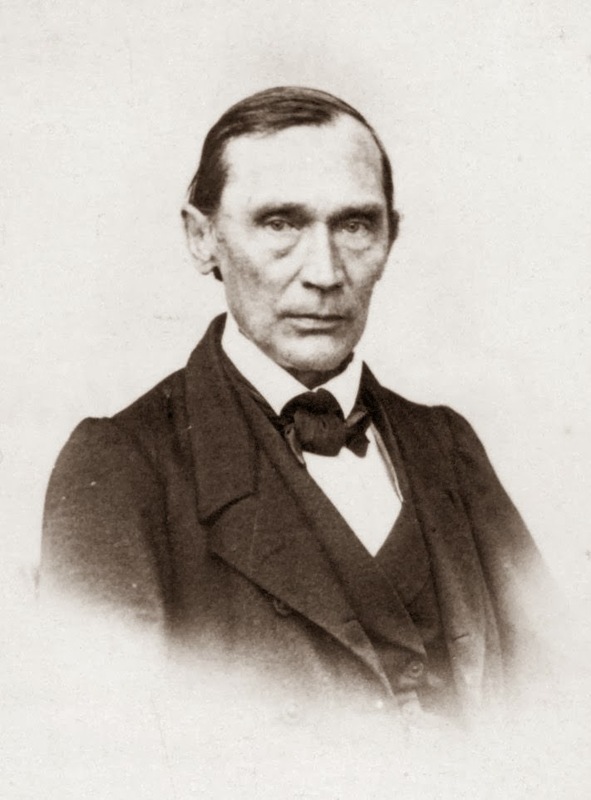 Born on Boxing Day 1803 in Kadrina parish, Viru county, Friedrich Kreutzwald was the son of a farmer. As a boy he attended Rakvere district school and completed his high school education in Tallinn. For several years Kreutzwald worked as a teacher in both Tallinn and St.Petersburg before furthering his studies at Tartu University. In 1833 he graduated in the field of medicine and married his sweetheart Marie Saedler in the same year. They later had three children - Alexis, Adelheid and Marie. For 44 years Kreutzwald was the town physician in Võru and received many honorary doctorates for his work. In addition to his successful medical career Kreutzwald was also a prolific writer. One of his most famous works is the national epic "Kalevipoeg" which is based on Estonian folklore. Kreutzwald penned many moralistic folk stories that earned him a great amount of acclaim as a writer. Kreutzwald died in Tartu in 1882 and many monuments have been errected in his honour. They can be found at Kadriorg Park in Tallinn, Vabaduse Puiestee in Tartu as well as in his home town of Võru. To further pay tribute to his work, streets have been named after him, postage stamps have been released bearing his image (1938 & 2003) and even a hotel in Tallinn has been named in his honour. Friedrich Kreutzwald has made a priceless contribution to Estonian literature which will be enjoyed by many generations to come.